I can't say I ever expected to play squash in the Ukraine, or that I could point out the country of Moldova on a map, before I left the States. 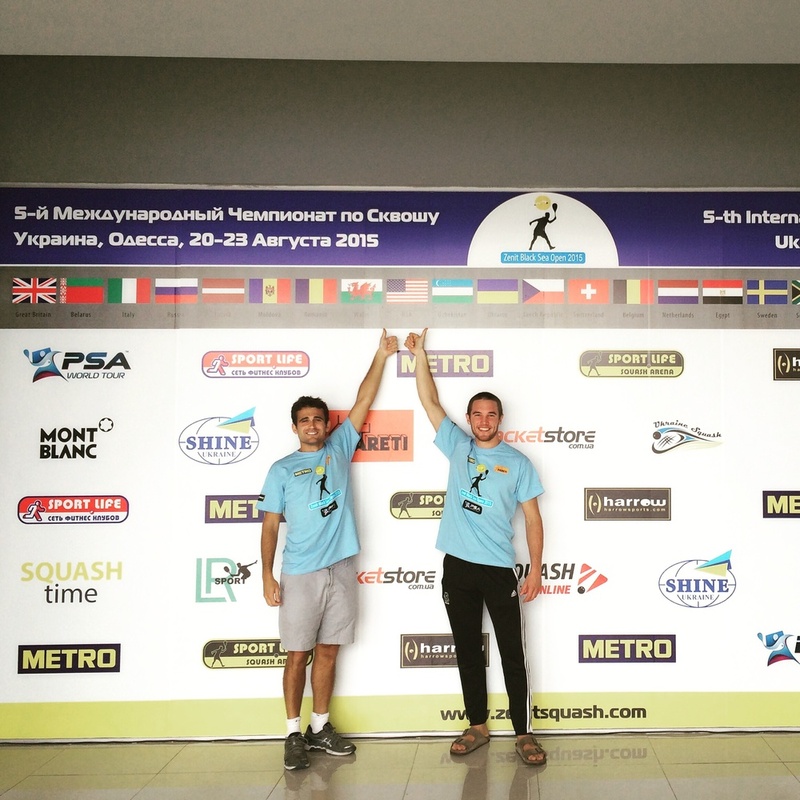 Adding to the long list of pleasant surprises from the pro squash tour came the news of making the main draw for the Black Sea Open in Odessa, Ukraine, in tandem with an invitation to take a minibus road trip afterward for a visit to the small but passionate Moldavian squash community, in the hills of Chisinau. All signs (in Ukranian/Romanian) point to a minibus toward Chisinau! Entering a country at war on one side, I wasn't exactly sure what to expect. But Odessa was as described- a seaside tourist community on the far west, along the Sea and feeling very far away from any signs of violence. While only a sliver of the Ukraine, Odessa resembled much of what you may expect in post-Soviet, non-EU states trying to get their footing and fend off Russian advances: Buildings were plain and drab, bleak streets of convenience marts and shop stalls sandwiched together. Loud club music pulsated through everything: the squash club, grocery store, barber shop, cafes. Prices were as cheap as you can imagine, the people friendly but mostly confused at American English in a place where tourists not from Russia seemed rare. In a world where parts Eastern Europe - Prague, Budapest, Bratislava - have become more discovered, more mainstream, more polished over - Ukraine seemed left out of this makeover. "LEW-IS! That you? Get up here man!" an American voice boomed down from outside a third floor hotel window window as I walked up. Who do I know in Ukraine? I wasn't expecting to speak English with anyone for a while. Upstairs I met my roommate for the week: Nick Talbott, a recent Brown grad and son of legendary squash player Mark Talbott. It would be only the second time I crossed paths with another American during an overseas event series, and it came at the right time: the two Californians teamed up for training sessions, meals and life chats, and when we were both eliminated, desperate searches for the best local beaches outside Odessa we could find. In the main draw first round I took on the Ukranian national champion Denis, the local favorite. Somehow I always find myself playing the local guy in the local town in places like Ukraine. But I was ready for him and gave the crowd a marathon see-saw battle, losing the first before creating a rhythm in the second that would ultimately push our match past eighty minutes and into five games. We were both fit and both content to play patient, although I think in doing so I became too patient and didn't sieze a couple openings. At 7-7 in the fifth Denis pulled out a couple big points and took the match, and while it really is never fun to lose, I knew I put in a solid effort against a good player, with a result that was as close to an even toss up as it gets. Next time. Leaving Ukraine was where the real fun began: figuring out how the hell I was to get to Chisinau, Moldova. The night before my odyssey, the tournament organizer handed me a piece of paper, typed in Ukranian hieroglyphics, that was to be my bus ticket. Early the next morning a taxi wove me around Odessa and into the front of what apparently was a bus station but what felt more like a real life game of vehicle jenga. I expected signs in English, what I found was rows of vans, buses, and minibuses with different signs in the same hieroglyphics posted in the dashboard. I made out that one bus was going to Moscow- not what I wanted. I could only imagine the destination of the other ones. I showed my piece of paper to five people - if four of them pointed me to the same vehicle, I decided I would take my chances. Sure enough the committee of strangers nodded me towards a battered minivan and a cast of characters lingering around it: a couple guys my age, and elderly grandmother, a businessman with a briefcase, a father. And me. Minutes later we were waved inside and our minibus revved out of Odessa, the first time I truly wasn't sure where I would be ending up. It wouldn't be a Ukranian minibus trip if there was no loud pulsating club music, which came on just as I discovered that this would be an air conditioning-less ride. We hit our first of two checkpoints early on, staffed by armed military personnel making sure things were moving smoothly. We passed just fine and rumbled on our way around the farms of western Ukraine, a portrait of Jesus Christ bobbling above the rearview mirror as we headed for the hills of Chisinau, Moldova. We crossed the border and I bought some peaches from a roadside stand to celebrate. A few hours later and our mini (dare I say party?) bus crawled to a stop - an hour early, no less - inside the central bus station at the of Chisinau, the capital city of Moldova. What I hadn't planned for was what to do next. Moldavians stared curiously at the foreigner with a bunch of racquets and a backpack, using hand gestures to barter for local coins to use the bathrooms, then more hand gestures to grab an ounce of internet access, before sitting on the side of the curb for someone named Igori. An hour later and I was cruising with Igori, a music producer and squash nut who I met in Latvia a month earlier, as we sped toward an old cement building with a single squash court squeezed inside; a half dozen Moldavian die-hard squash players, their family and a photographer waiting for me as we walked on court. After squash Igori weaved me through the thick trees among the central parks and monuments in the center of town, showed me the courtyards where the locals gather on nice summer nights like this one, told me about life here in bits of English and gestures. Around us families and couples were sprawled out under trees and on benches, kids playing in the fountains and a slowly fading sun letting out the last bits of daylight. We ate fresh produce and grilled fish at his favorite neighborhood restaurant, went through bottles of local wine and fresh peaches, then a special local champagne and more peaches, Igori taking me through YouTube music videos of Moldavian bands and folksingers, interrupting only on occasion to tell me just how damn good these peaches were, and that these peaches came from pristine soil and were not like any other peaches I'd ever have, and that the wine was made in the hills from all different types of grapes - fresh grapes, ones you don't find elsewhere. I believed him. I spent a day living as Igori lives in Chisinau, a nothing special, mundane Monday that he let me peek into. Dropping me off at the airport, Igori gave me a CD from his favorite Moldavian band. I tried to tell him how surreal this all was for me, how I'd remember the special wine and the music, the parks and the benches, his local bands and the squash players. He smiled, and then shrugged, dropped me off and continued driving to work to start the day. 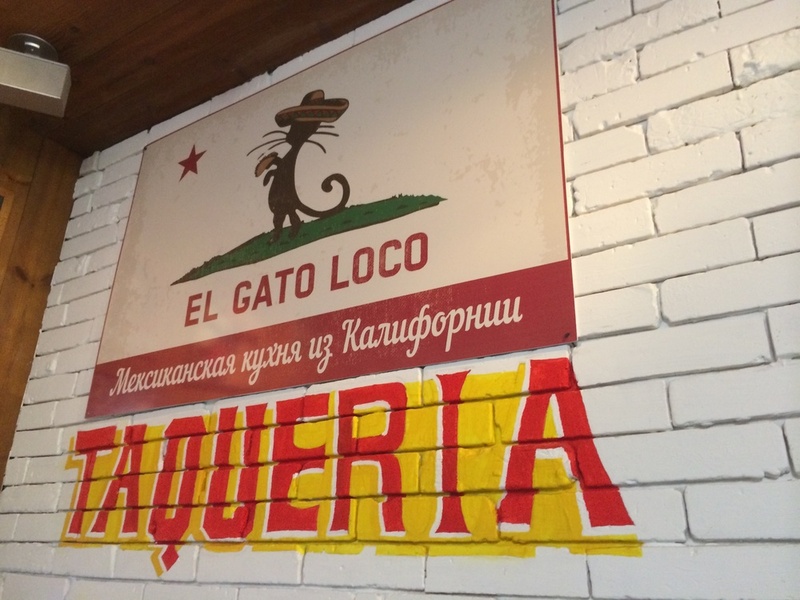 The Crazy Cat: Califiornia-style Mexican food in western Ukraine. About as good as described.